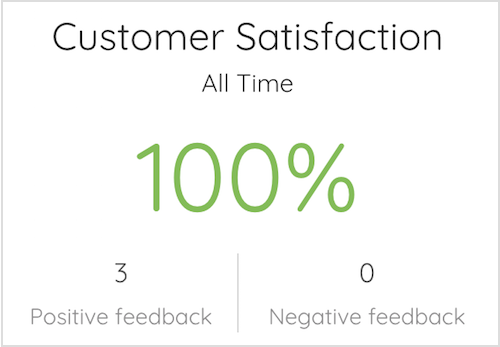 The Customer Satisfaction percentage is calculated by dividing good feedback (green happy face) by the total feedback received from customers. Understand which experiences your customers are most satisfied with, by viewing the results of the different satisfaction options. 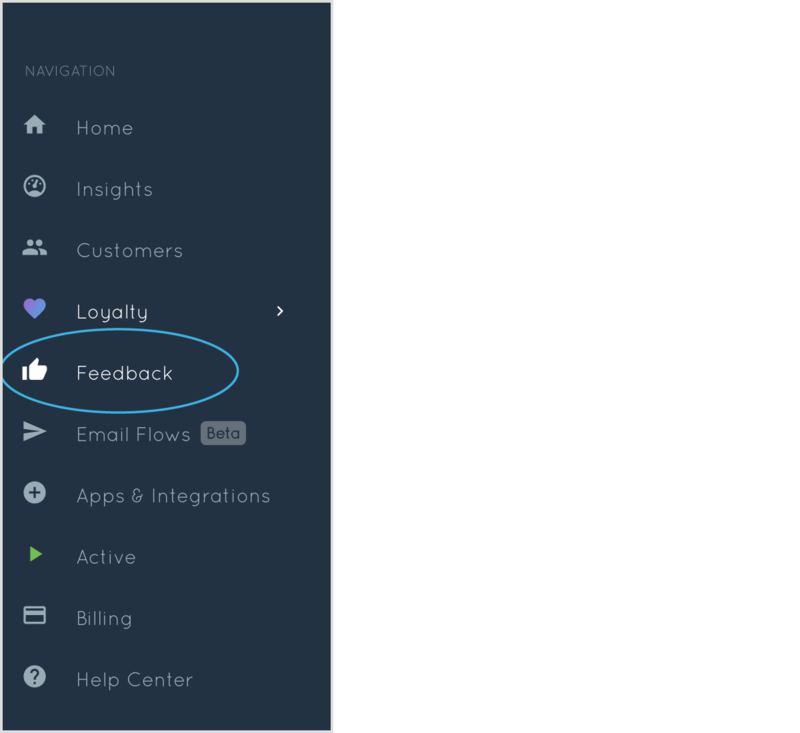 💡Tip: You can customize the satisfaction options at any time under your Feedback settings. View the feedback that specific customers have left you, as well as any additional comments they have shared. Unspecified responses means that no further detail was given. Here you'll be able to see an overall customer satisfaction measurement of a certain time period. You can view data from a specific time frame by selecting All Time, Last 30 days, Last 7 days or Last 24 hours from the Reporting Period drop-down menu. Next to each customer's response, you can perform an action on their feedback. If you'd like to send a personal message to your customer to thank them for their feedback or ask further questions to address a concern they have. The Email Customer action will open your default email client with a new message addressed to the customer's email address. 💡Pro tip: If you receive positive feedback with a great comment, email the customer asking for them to add it as a review on your Facebook page or online store. This will help increase customer trust, social proof and sales. 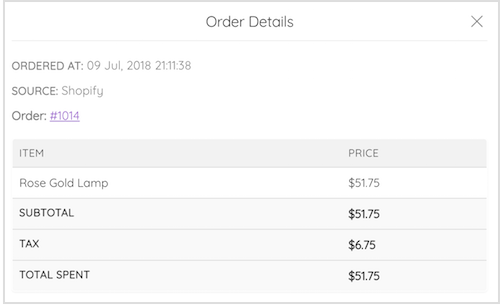 Check the order receipt to get additional context for the customer's feedback. The staff member account logged in on your POS at the time of the order will be attributed feedback left by the customer. Ensure feedback is correctly assigned to your team members to help monitor their customer service and re-assign here if needed. Reward loyalty points to customers for leaving feedback on their shopping experience, or to compensate an unsatisfactory experience. 📝 Note: Comment is an internal note only that will be recorded on the customer's profile. It won't be included if Send Email is selected. 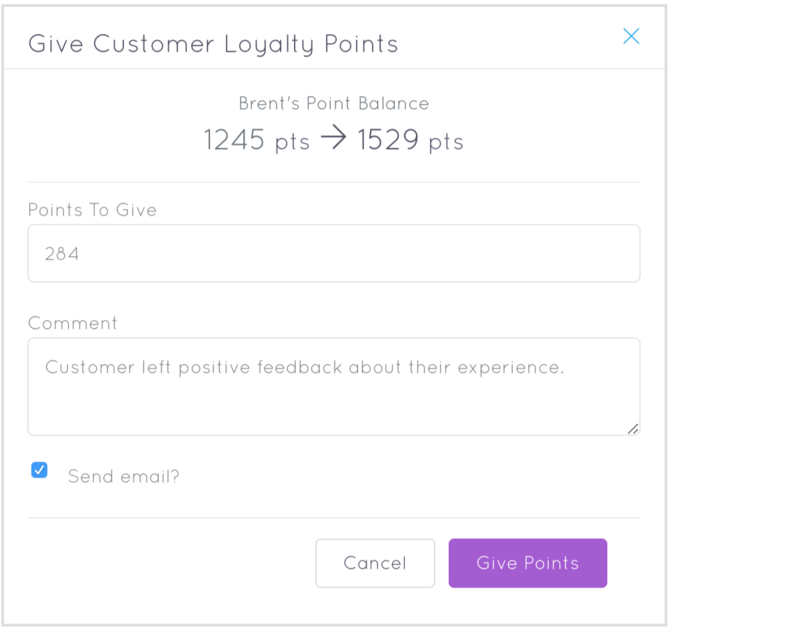 To notify the customer that you've given them points, simply email them by clicking Email Customer in the Actions drop-down. You can delete the individual customer feedback responses. 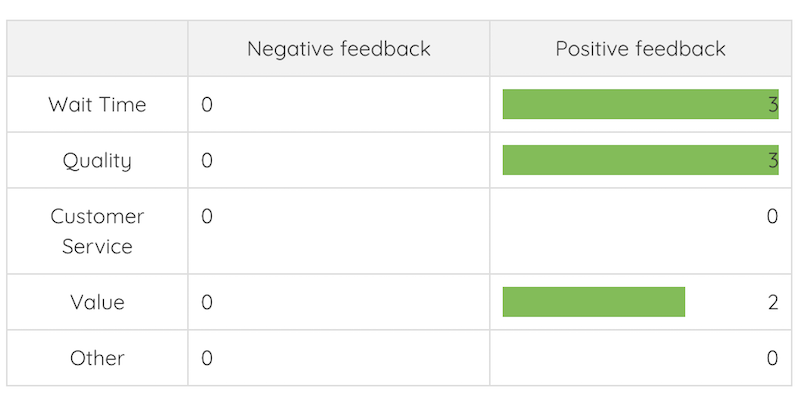 📝 Note: If a feedback response is deleted, this will remove it from your customer satisfaction rating. Whenever a customer leaves feedback, you will receive an email notification. The email will contain the customer's name and email address, and the details of the feedback. View the response in-app with one click and take action by contacting the customer via email. By measuring your customer satisfaction automatically, you can understand your customers better and find areas to improve your business.